There once was a time where the only shot your teen got was a tetanus booster. We now have the ability to vaccinate protect our teens from a number of concerning diseases. Some vaccinations are given routinely, others are given only under special circumstances. It is important for parents to know which vaccines their teens will be offered at their next checkup so they can make good choices for their teens' health. 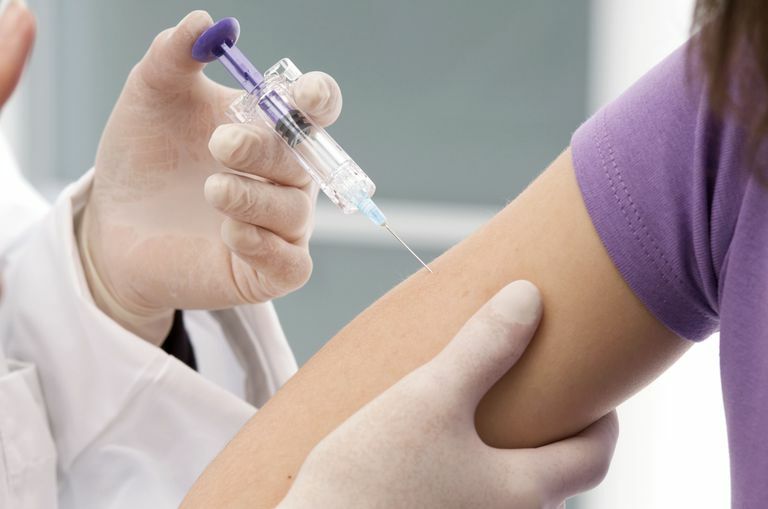 Tdap vaccine. Tdap stands for tetanus and diphtheria toxoids and acellular pertussis vaccine. This vaccine protects against diphtheria and pertussis, in addition to tetanus. Pertussis is particularly on the rise in teenagers, leading to this new booster shot. The Tdap vaccine is recommended for the 11- to 12-year-old checkup. Meningococcal vaccine. The meningococcal vaccine was developed to protect teens against bacterial meningitis. Bacterial meningitis is a serious infection of the brain and spinal cord that kills approximately 10 to 15% of people who get it, even with treatment with antibiotics. This vaccine is also routinely given at the 11- to 12-year-old checkup. Human Papilloma Virus (HPV) vaccine. This vaccine is indicated for all teens from the ages of 9 to 26 years old. The vaccine protects against HPV, a virus that causes cervical cancer and genital warts. Influenza vaccine. The flu shot is now recommended for all children from the ages of 6 months to 18 years of age. Ask your pediatrician or family health care provider about when to schedule an appointment for a flu vaccine. Depending on where you live, chronic health issues, or other factors, your pediatrician might suggest other vaccines for your teen. Ask your health care provider if your teen needs these shots. Hepatitis A vaccine. This vaccine is used to protect against Hepatitis A. Two doses of the vaccine are given at least 6 months apart to provide protection against this liver disease. Teens who live in areas where there are a high number of Hepatitis A cases should be vaccinated. Additionally, teens who are traveling to certain countries should also get this shot. Pneumococcal Polysaccharide Vaccine (PPV23). Pneumococcal disease can cause pneumonia, meningitis or bacteremia. This vaccine is not routinely given to most teens. Teens that might require this shot are those with certain chronic conditions such as sickle cell disease, diabetes, chronic heart or chronic lung disease. There are other conditions that indicate that your teen should get this vaccine. Ask your provider if your teen is one of them. Sometimes, teens fall behind schedule when it comes to vaccines. These four vaccinations are often given during the teen years if they haven't been given already. Do you have your teen's vaccination record? Check to see if your teen is protected. If not, contact your pediatrician and make an appointment—your teen might not like it, but will thank you later. Hepatitis B vaccine. This series of three vaccines protect your teen against Hepatitis B, a dangerous virus that attacks the liver. Varicella vaccine. Your teen might have gotten one dose of this vaccine against Chickenpox. It is now recommended that teens get a booster of this vaccine. Polio vaccine. Depending upon the kind of vaccine your teen received (oral vs. shot), the doses they got and when your teen might not be fully immunized. Confusing? It is. Double check with your healthcare provider to see if your teen is up to date. Measles, Mumps, and Rubella (MMR) vaccine. This common vaccine protects against measles, mumps, and rubella. Because some parents have chosen not to vaccinate their children, outbreaks of these diseases have occurred. Your teen should have two doses of this vaccine if not already given. Vaccines have prevented countless deaths and have protected many others from the damages of these diseases. Navigating the many vaccines your teen might (or might not) need can be daunting. Your provider is there to help you protect your teen—find out if your teen is covered today. Key Facts About Seasonal Flu Vaccine. Centers for Disease Control. Pertussis Reemerges Among Teens, Infants Due to Waning Immunity. Medscape. Recommended Immunization Schedule for Persons Ages 7-18 Years. Centers for Disease Control. Vaccines Needed by Teens and College Students. Centers for Disease Control.